As you probably know that GST council has introduced e-Way Bills and as per the new regulations, supplies with a value above rupees 50000 should be accompanied with an e-Way Bill or an invoice containing the e-Way Bill number. So, how Tally.ERP 9 can help you with that? 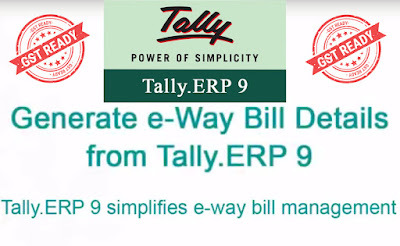 Tally.ERP 9 release 6.4.1 provides options to capture information required for an e-Way Bill. You can export the information in JSON format and upload directly to GSTN portal to generate an e-Way Bill. When you upgrade Tally.ERP 9 to release 6.4.1, e-Way Bills related features will be automatically enabled by default. You can set the threshold value beyond which an e-Way Bill needs to be generated for an invoice. In Tally.ERP 9, while creating a Sales Invoice, when the invoice value exceeds the set threshold limit, Tally will identifies that the transaction requires an e-Way Bill and will enables the fields to enter transportation details. In the transportation details fields you can enter mode of transportation and details of transporter. If you are using own vehicle for transportation, the vehicle number can be recorded here. In case any mandatory fields in the transportation details missed out, Tally will alert you and you can enter missing information. 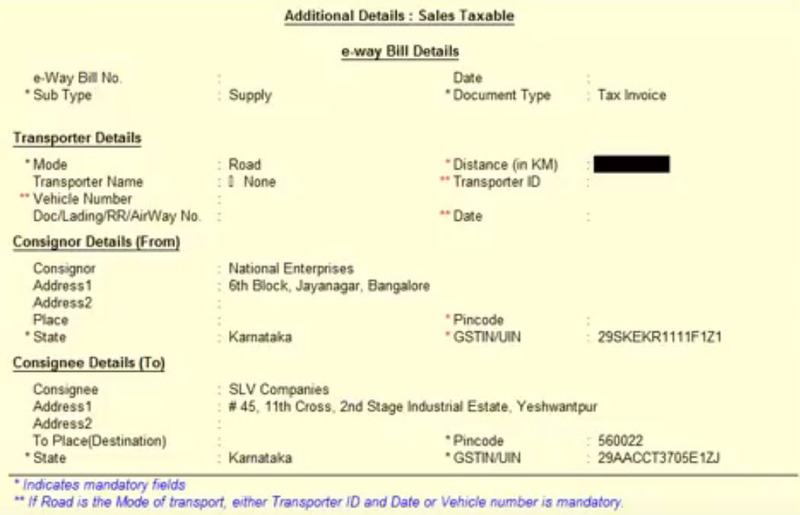 Tally.ERP 9 will automatically export the e-Way Bill details in JSON format while the voucher is saved. 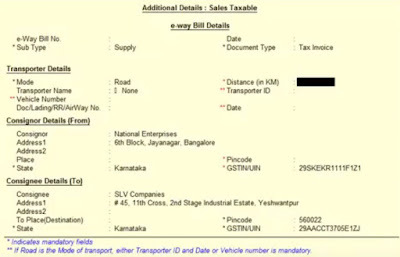 After exporting, the e-Way Bill information screen will appear to enter the e-Way Bill number. 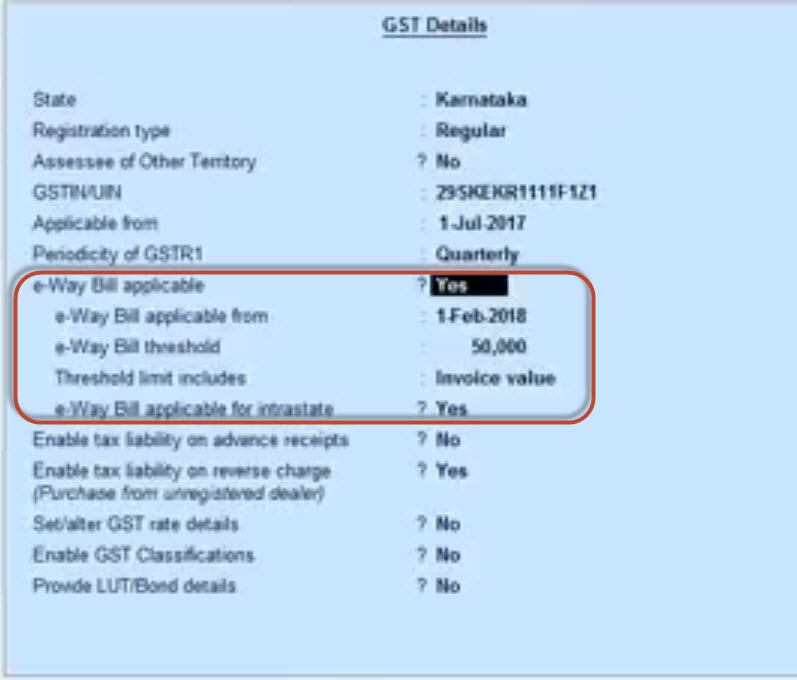 To get the e-Way Bill number- Login to e-Way Bill portal with your login credentials and click on e-Way Bill and then click on Generate Bulk Option. Upload the JSON file exported from Tally and click on Generate. An e-Way Bill number will be generated. Now go back to Tally and enter the e-Way Bill number and date in the e-Way Bill information screen. Once you saved the e-Way Bill number, it will be updated in the invoice and will appear in the printout of the invoice. 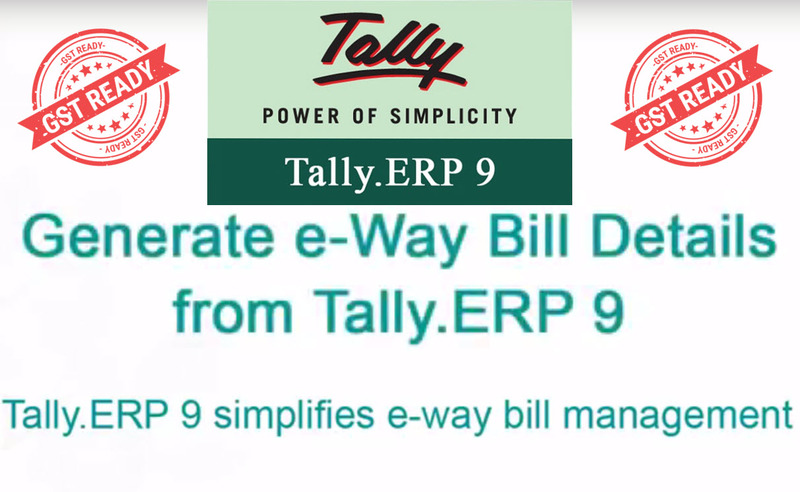 For more details on e-Way Bill management in Tally.ERP 9, check out the video tutorial.